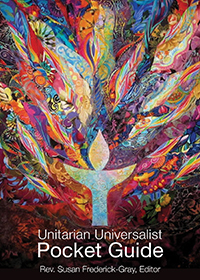 If you are new to Unitarian Universalism, we welcome your interest. Today’s Unitarian Universalism reflects a 400-year-old history of congregations that have advocated for the role of freedom, reason, and diversity in religious belief. Religious Education, which is extremely important to our congregation, involves both children and adults. We teach our children the world’s religions, UU principles, and empower them to work for social justice in the world. Learn more about our Children’s Religious Education program.